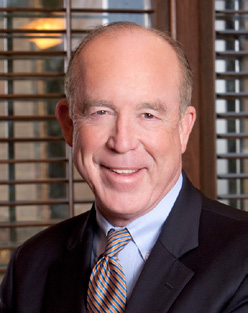 Dr. Hotze explains the autoimmune attack on your thyroid gland. Imagine you are a soldier in battle. You and your troops are advancing at breakneck speed toward enemy lines. Suddenly, your fellow soldiers commit the absolute betrayal: they turn their guns upon you. A similar scenario occurs with Hashimoto’s thyroiditis, also known as autoimmune thyroiditis. Dr. Hakaru Hashimoto was the first to publish information about the disease in 1912, thus the name. In Hashimoto’s thyroiditis, the body begins making antibodies against its own thyroid gland, effectively launching an attack of friendly fire. These antibodies then bind to the thyroid gland and thyroid hormone in the cells, thus preventing the production and utilization of thyroid hormone and degrading the thyroid gland itself. The incidence of Hashimoto’s thyroiditis increases with age and is more prevalent among women. Hashimoto’s can often worsen or trigger after childbirth. In our practice, we have also found that there is a relationship between Hashimoto’s thyroiditis and allergic disorders. Adrenal fatigue can also be a factor in developing Hashimoto’s. There is a genetic predisposition toward Hashimoto’s thyroiditis as well. 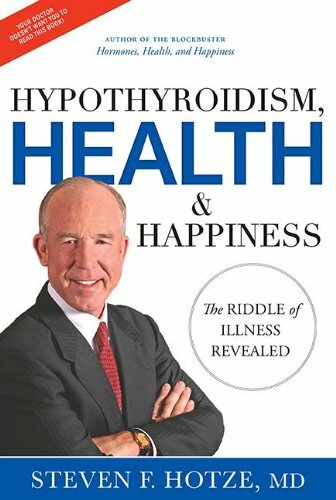 Hashimoto’s essentially makes one hypothyroid, thus the symptoms of Hashimoto’s are the symptoms of hypothyroidism: fatigue, cold extremities, dry skin, hair loss, weight gain, brain fog, joint aches and pains, etc. In addition to looking at your symptoms, the best way to test for Hashimoto’s thyroiditis is testing the blood for the thyroid antibodies, the thyroglobulin (TgAb) antibody and thyroid peroxidase (TPO) antibody. Both the TgAb and TPO, a thyroid protein and enzyme, are uniquely essential in the manufacturing of thyroid hormone. The antibodies attack these important pieces of the thyroid assembly line, effectively dampening thyroid production and utilization. Some Hashimoto’s patients experience a symptomatic swing from the symptoms of low thyroid to the symptoms of an overactive thyroid. As the thyroid gland is damaged by the thyroid antibodies, thyroid hormone is released into the bloodstream resulting in a manifestation of the symptoms of hyperthyroidism. As this thyroid hormone dissipates, the individual with Hashimoto’s yet again experiences symptoms of hypothyroidism. How do we treat Hashimoto’s thyroiditis? Hashimoto’s can be treated with desiccated thyroid preparations such as Armour Thyroid resulting in effectively eliminating the symptoms of low thyroid once you have reached the optimal thyroid dosage. On the other hand, synthetic thyroid medications such as Synthroid only contain T4, which is the inactive thyroid hormone. Your body must convert T4 to T3, the active form of thyroid hormone, in order for it to be utilized within the cells. For those that have a problem converting T4 to T3, also known as type 2 hypothyroidism, this can effectively render your thyroid medication useless. Desiccated thyroid preparations such as Armour Thyroid and NatureThroid contain both the inactive and active forms of thyroid, T4 and T3. If you have signs and symptoms of hypothyroidism, and have tested positive for thyroid antibodies and Hashimoto’s thyroiditis, find a doctor who is willing to work with you in treating the underlying cause with the possibility of desiccated thyroid preparations that contain both inactive and active forms of thyroid hormone. Questions or anything to add about your thyroid gland? We want your thoughts in the comments section–Please! I have been taking thyroid replacement tablets (Naturethroid) to treat my hypothyroidism. However, since researching this disease, I find that meds only treat symptoms, but do not cure the illness! So, I changed my diet, gave up gluten and dairy for the most part, added many more vegetables, and find my hair is growing back, my vitiligo is gone, my energy is much higher…starting to feel like my old self again! Gonna keep it up til I AM normal again!